How to disappear that pesky facial hair – are you facing the same challenge like me? I don’t usually like to hide my natural skin with heavy makeup. Yet when I go makeup-less, I want it to look flawless. One of the toughest challenges I faced for flawless skin was facial hair. Don’t believe it? 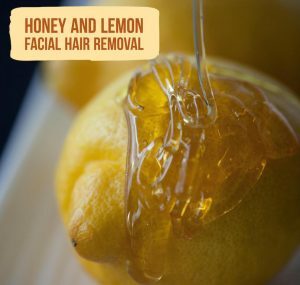 Here is a quick proof on how honey-lemon helps to remove facial hair. This combination acts as regular wax used in salons. When applied to the skin, it sticks like glue. When peeled off, it pulls the hair right from the roots. The anti-inflammatory and anti-bacterial properties of both the ingredients reduce the redness and irritation. Lemon tightens the open pores. Mix 1 tablespoon of fresh lemon juice and 4 tablespoons of honey. Apply the mixture on facial hair. Allow it to rest for 15 minutes. Remove it using a damp cloth soaked in lukewarm water. Oatmeal is a great exfoliating agent. It helps to remove accumulated dead cells. Mix 1/2 teaspoon coarsely ground oatmeal, 1 tablespoon each of honey and lemon. Apply on facial hair and leave it on for 20 minutes. Gently, scrub off the mask using wet fingers in circular motions. Mix 1 tablespoon of sugar, 1 teaspoon each of lemon and honey. Boil the mixture on low flame for 3 minutes. Using a small amount of corn starch, dust the areas where you want to remove unwanted hair. With a spatula, apply the mixture in the direction of hair growth. Press a waxing strip on the mixture and quickly pull in the opposite direction of hair growth. Wipe off with a damp cloth and pat dry. Soak 1 bowl of yellow lentil overnight and blend them next morning. Blend 1 potato, strain, and extract the juice. Mix yellow lentil paste, potato juice, 1 tablespoon honey and 4 tablespoons lemon juice. Apply this mixture on unwanted facial hair. Wet your finger and rub against the growth of facial hair. All these methods have shown results to me. I hope they will work wonders for you as well. Before we finish off the article, I would like to share few tips and precautions to consider for facial hair removal. Having a steam bath before using any remedy, will open the pores and aid easy hair removal. Don’t expect results overnight, be patient and follow regularly to achieve results. Consult a doctor, if unwanted facial hair didn’t reduce after using the above methods. 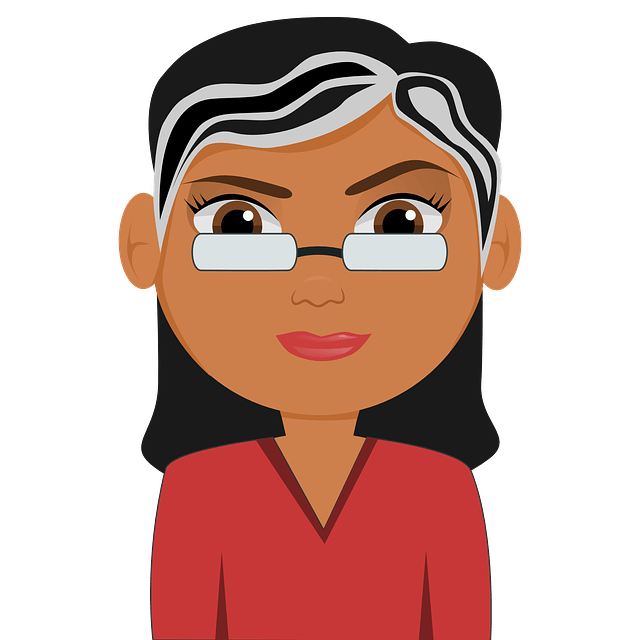 Sometimes it may be caused due to menopause, PCOD, and other reasons. Was this article helpful? Let us know your experience in the comments section below. The honey lemon mask really help me to get rid of facial hair.it is also enhancing the skin tone.I dont know whether it can give a permanent result. It’s been 2 weeks now. I am using cotton pieces to pull of the mask after 20 minutes. It is less painful and I hope it will help you all. Can it be done everyday a week to work faster? Does it grow back thinner? Can you keep wat u didn’t use and reuse it the next time? Can you exactly tell which method are you talking about? The same question with her. So, yeah, I’m using honey and lemon. Same I’m reusing the honey-lemon mix in 1 week. It may help. So, try it and share your experience. I started today onwards honey and lemon facial hair removal ..Daily am going to use this remedy..I hope it will be given a good result within 30 days ???????????? Can I do the honey-sweet method everyday for faster results or do I have to do 3 time a week? Does the honey lemon hair bleach the hair that is outside the skin or does it get rid of melinine from the hair folicle? It will remove the hair however it doesn’t stop the hair growing again. It just acts like waxing. Is this a permanent remedy? Nope, this process works just like waxing. It will remove the hair but it doesn’t stop the hair re-growth. Is this method suitable for a Trans womans face. Hairs are much more densely packed. I want to try it, but I know waxing normally is out of the question because of the very high risk of damaging the skin when pulling out many hairs at once in such a small area. This method may not be effective if the hair thickness is more. It is effective for removing thin hairs. I tried the honey and lemon recipe. It wasn”t too thick and some dripped off my face. Is it suppose to do that? I didn’t feel it pull any hairs out. Reduce the quantities of honey and lemon. Apply a thin layer on the face and massage for few minutes and rinse off with water. You can add some turmeric or gram flour into the mixture to make it thick. How long should the hair be when using honey, lemon, and oatmeal? You can rinse off the application after gently scrubbing for 3 – 5 minutes. Hi I want to try the honey, lemon and sugar recipe but when the hair grows back will it be thicker? Nope, the hair will not be thicker. honey and lemon is it permanent facial hair remove?? Is the honey and lemon mask will remove th thick hair on upper lip..?